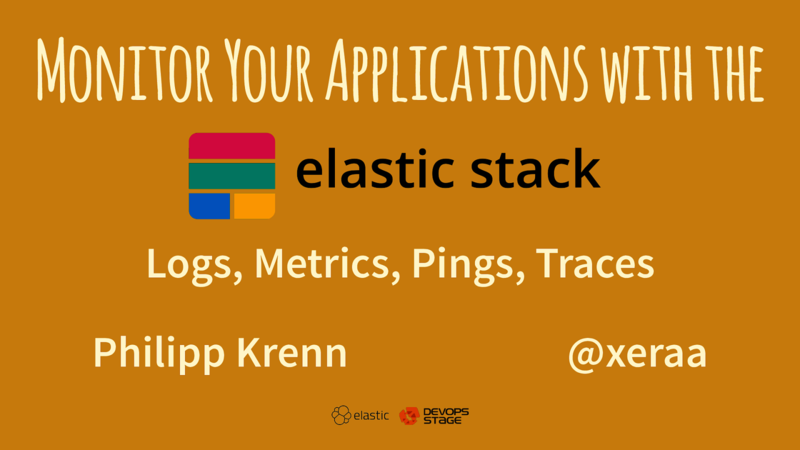 View Monitor Your Applications with the Elastic Stack: Logs, Metriken, Pings, and Trace. Application metrics: Get the information from the application's metrics and health endpoints via REST or JMX. Request tracing: Trace requests through a distributed system and show how long each call takes and where errors are happening. Deploy David's application to the cloud and monitor it.